The 6th TeaCamp in the LGDSS London Peer Group series has arrived. It’s been a short while since I’ve been able to attend a TeaCamp, due to being away with char.gy during the last couple of dates (Are you a local council looking for an on-street electric vehicle charging solution for your residents? char.gy may just be for you…). The hot topic of this month’s TeaCamp is Point #12 of the Service Standard: Encourage maximum usage of the digital service (with assisted digital support if required). 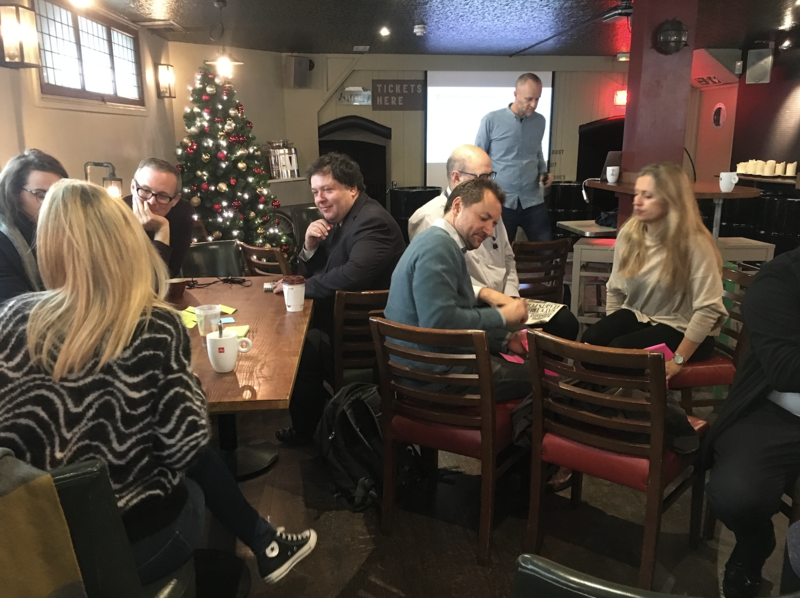 With introductions and parish notices done, Hackney Council share a very brief update on some of their recent happenings, including a collaborative cross-council sprint. 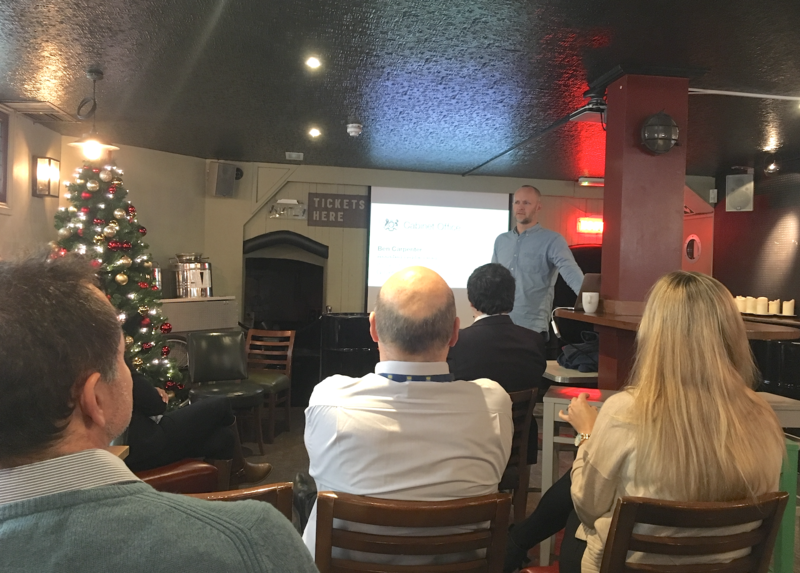 For this session, we’re very lucky to have Ben Carpenter from Government Digital Service (GDS) join us. Ben is the Inclusive Services Lead and Assisted Digital Lead and has experience of taking part in over 70 digital service assessments. That’s quite a track record. We’re eager to hear what Ben has instore for us this afternoon. So, to begin… What is “assisted digital”? 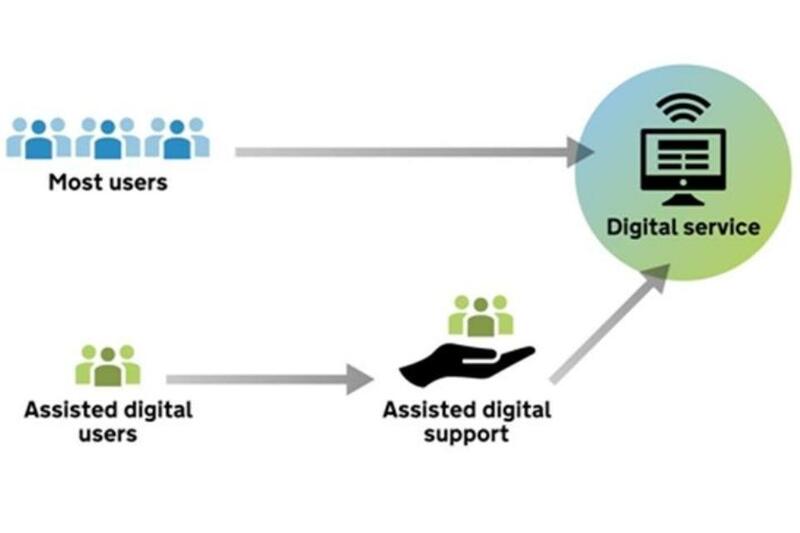 GDS define assisted digital as “… help for people who can’t use digital government services on their own.”. Central government provide a full range of online public services and they want to help people to be able to move through these services and achieve what they need to achieve. Assisted digital is the help that must be provided alongside these online public services for the people who need to use them, but don’t have the skills, expertise or access to be able to do so on their own. It’s all about interacting with people so they can use a digital service. As Point #14 of the GDS Digital Service Standard, assisted digital support must be provided to pass a service assessment for most services, making this a major factor. There’s a risk that some teams may not even begin to think about assisted digital until around the Beta phase, but it’s an element that should be considered from the Discovery phase, being a key channel of how a key set of users are going to access your service. We’ve reached the first practical exercise of the session. “Get into small groups and think of a service idea”, instructs Ben, “Then sketch out the user journey of this service”. In a small group with some fellow TeaCamp-ers from Hackney Council and Barnet Council, we’re armed with pile of post-its, a Sharpie and the idea of a venue booking service for a town hall. From initially hearing about the service offline through to booking the venue, we begin breaking down this user journey, with each step on a post-it. Designing for good assisted digital is ensuring that your team is doing the right research and putting this in place — researching with the right people in the right way. For example, include people with the lowest level of digital skills in your pool of users. These are the people who may have the hardest to meet support needs, so it’s beneficial to engage with these people from the very beginning. Also, we need to make sure we’re recruiting these people in the right way. It’s highly unlikely that users with low levels of digital skills are going to be recruitable through digital channels, so we need to go out and meet them in public areas to engage further — libraries, parks, shopping centres, relevant charities, social housing providers, etc. We then need to build services for users’ end-to-end journeys, from their perspective. This means considering the offline elements of a service. The journey doesn’t always start online (i.e. taxing your vehicle), so we need to take this into consideration. The aim is to ensure that every person can successfully get from ‘A’ to ‘B’. It’s now time to get back into our groups for the next exercise — building an inclusive service. Our task is to take our services from exercise #1 and “stress test” these with Cathy. “Her level of digital skill is ‘unwilling’, so keep this in consideration”. 6pm has quickly arrived and it’s time to wrap up the session. Ben concludes by sharing a powerful statement: “There’s no such thing as an ‘assisted digital user’ – we’re ALL assisted digital users.”. The next TeaCamp is taking place on Thursday 18th January, 4-6pm at Draft House Tower Bridge. If you’re interesting in attending, please just send an email to David Durant at GLA (david.durant@london.gov.uk) or come and join the #london-peer-group channel in the LocalGov Digital Slack.